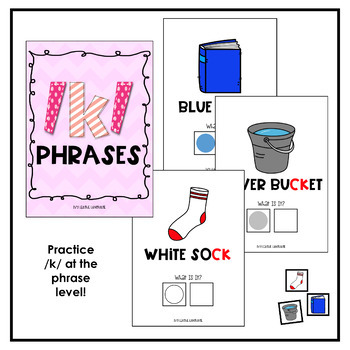 Use these interactive booklets as a fun way to work on the medial /k/ sound! 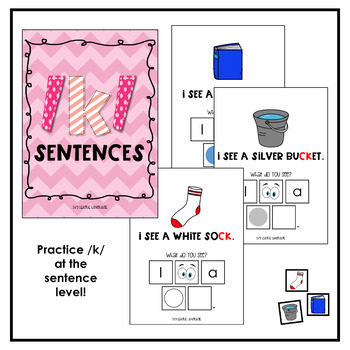 * 1 sentence level book (I see the color target word, e.g., I see the orange pumpkin). 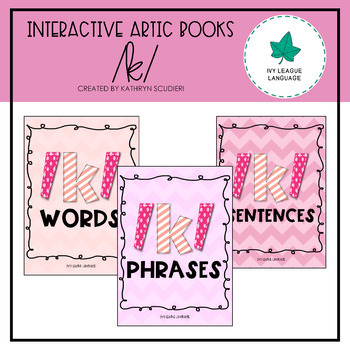 Choose the book most appropriate to your student’s skill level. Read the text on each page to serve as a model. 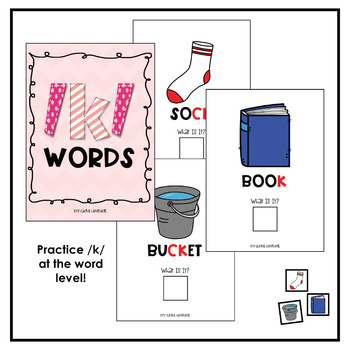 Child should answer the question above each box by expressing the target word. Print & laminate booklet pages and interactive pieces. Cut around each page, aside from the final set of pages in each booklet (storage stays on right side for convenience). Combine pages with hole punches and loose leaf binder rings, or with binding combs. Cut out interactive pieces and add soft Velcro to the back of each. Put rough Velcro on all empty boxes throughout booklets.